Okay… you have finally discovered the wonderful world of podcasts! Yeah! Not all podcast platforms are created equal and not ot all podcast shows are published on all platforms. 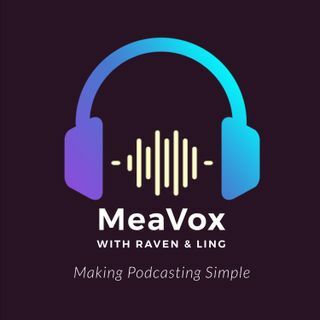 Ling & Raven, both established and seasoned podcasters, will help answer your questions about podcasts and podcasting. So you don't have to wade through mountains of content to find what works for you and your podcast show. This podcast is recorded over Zencastr. Ling Ling is using Audio Technica's ATR2100 and Raven is using a Yeti Blue Microphone. Subscribe to our platform at Spreaker. We will be available on other podcast platforms soon. If you have a questions for Ling and (or) Raven about podcasts and podcasting, do send us an email at hello.podcasters@gmail.com and we'll answer them on the show. Speak up and share your passion with the world.